The decorations were set. The students were dressed to the nines. The DJ and Emcee were in their places. The punch was in the bowl, ready to be served to thirsty attendees breaking a sweat on the dance floor. It was the day that both staff and students had been looking forward to all year. 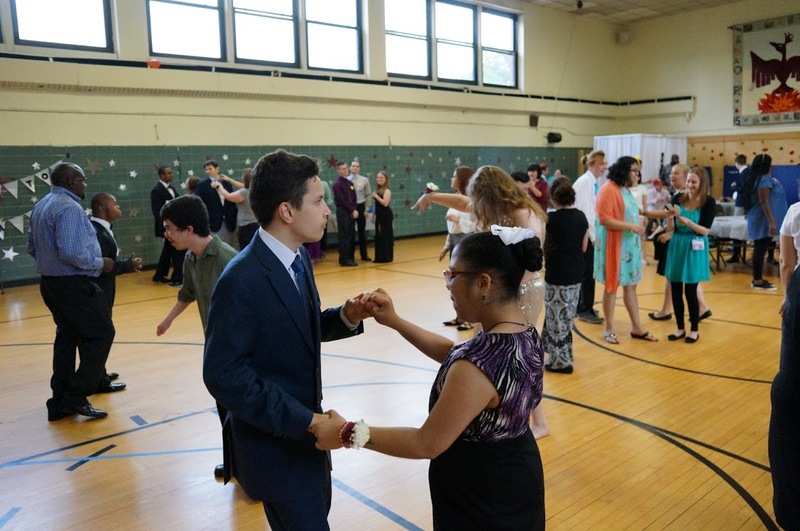 On Friday, June 8th, The Phoenix Center held the event of the season, the annual prom. 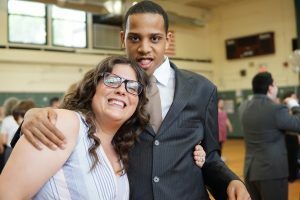 five to 21 with significant developmental disabilities and those on the autism spectrum, and provides unique and individualized programs.” After working hard in the classroom all year, the students and the staff alike were looking forward to letting loose and dancing and socializing with friends as the school year comes to a close. 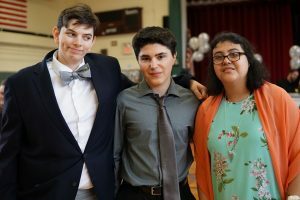 While The Phoenix Center educates students from a wide age range, only the students from the ages of 17 to 21 were allowed to attend the prom. And those students certainly made the most of it. 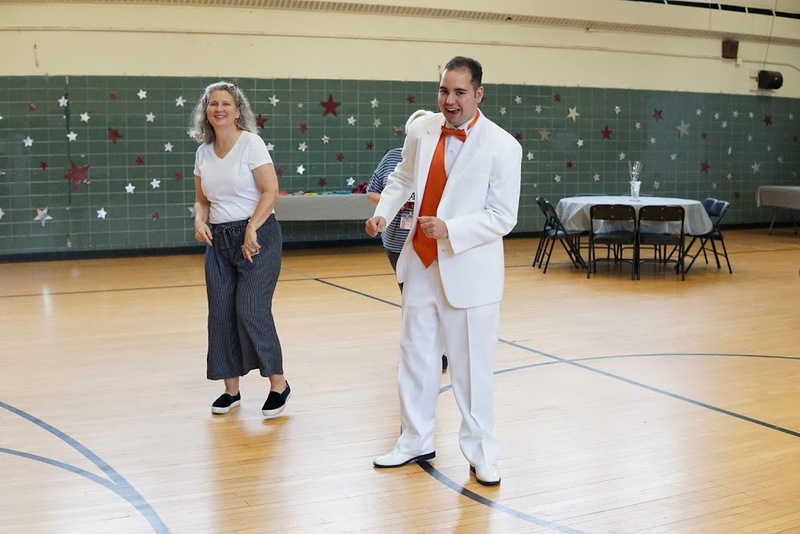 As soon as the first attendee entered the gym, the party was off to a great start. Ashley Agresti and Her Students Had a Blast! DJ Shughes and Cindy Vero Kept the Party Going! 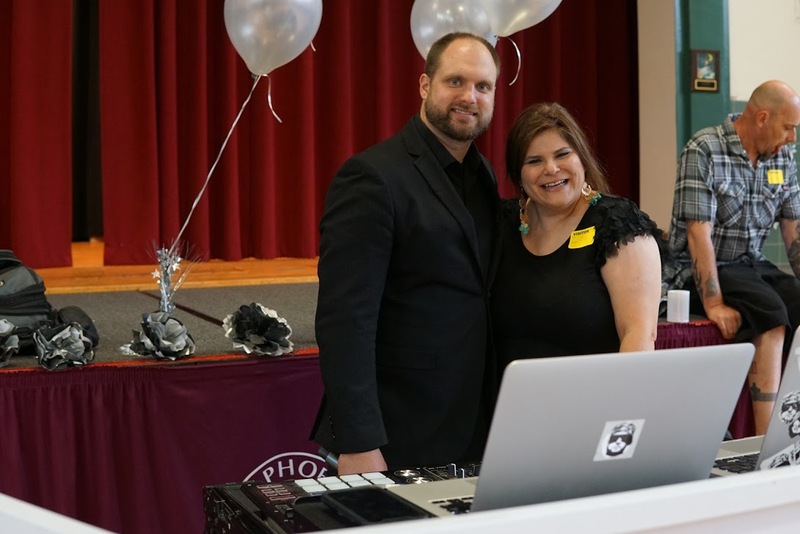 DJ Shughes and Cindy Vero are incredibly kind enough to donate their time to the prom, playing important roles in its success at absolutely no cost to the school. And the students and staff are so grateful. Ashley said that the photo booth is probably the students’ favorite part of the whole day, “because what teenager doesn’t love a selfie,”. Perfectly said. I also spoke with Marc Restaino, a Phoenix Center instructor and resident event photographer. Marc continued to share more of the behind the scenes aspects of the prom, “almost all of the dresses and suits that are worn by the students are donated. Some are donated by the staff or just people in the area. The students get to pick exactly what they want to wear from the collection. On the day of, some of the instructors will do the makeup and hair for some of the students.” Marc went on to explain that a lot of the students rarely dress up, so it is the perfect chance for them to put on their fanciest outfits and dance with their friends. Everyone At Prom was Having Some Fun! been at the school since first grade, creating about a 15-year-old bond with the school. 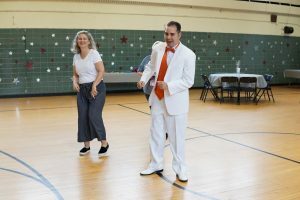 Additionally, a large number of the staff members have been teaching at The Phoenix Center for over ten years. 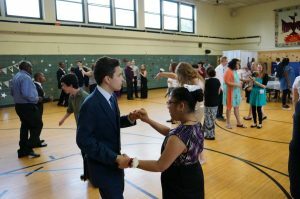 The instructors work tirelessly to create a connection with the students and their families. 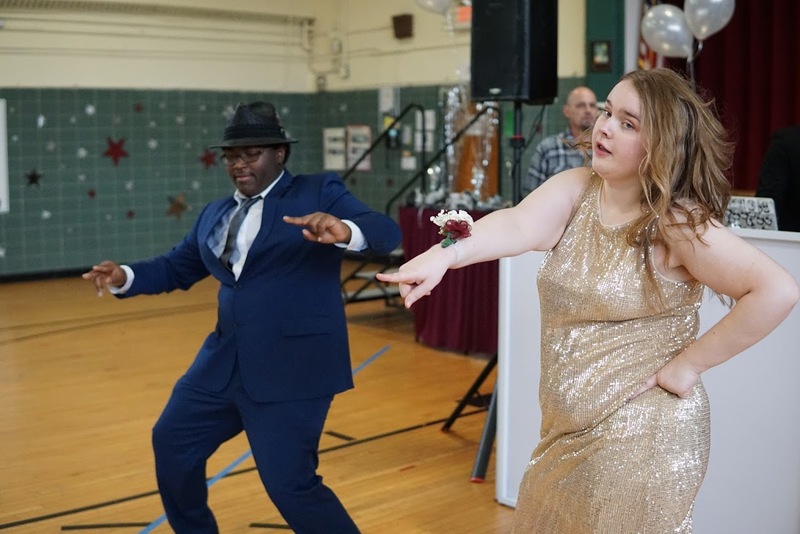 It is apparent that the staff at The Phoenix Center truly loves what they do, and works to ensure that their students are getting the absolute most out of coming to school every day, while also offering additional events outside of the classroom. After spending some time at The Phoenix Center prom, it became increasingly clear that it is not just a school, it is a family. The Phoenix Center is a not-for-profit school and relies on donations from the community. Please consider donating.